Not only did Beyonce kill the VMAs with her Lemonade medley, but she killed the red carpet with her 4 1/2 year old date, Blue Ivy. Mom and daughter rocked the NYC red carpet wearing just the most glamorous gowns. Blue Blue's princess dress was a cool $11,000. But I mean, her parents can afford it, right? 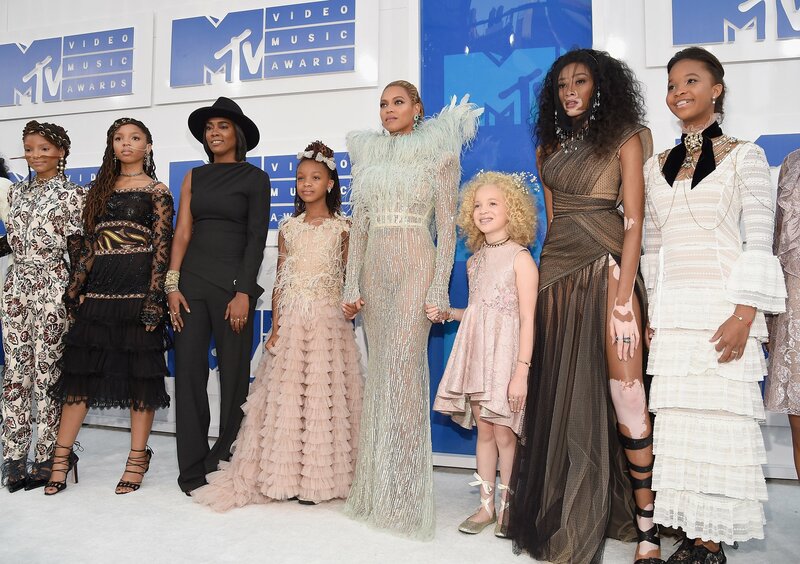 Bey also was surrounded by her squad of ladies that were featured in Lemonade as well as Trayvon Martin and Michael Brown's mother. After performing, Bey snatched Moonmen for Video of the Year, Best Female Video, Best Pop Video, Breakthrough Long Form Video, Best Choreography, Best Cinematography and Best Editing. She now has more Moonmen, the most for a female performer.....surpassing Madonna who was the reigning Moonman Queen with 20. THEBEYONCEWORLD.COM - Lemonade Medley (MTV VMA 2016) from Fansite Freak on Vimeo.